We have a small selection of great Australian and New Zealand wines from all the quality wine producing areas including South Australia, Western Australia, NSW, Victoria and New Zealand. You can buy with confidence that the product will be well received for corporate wine gifts, weddings and other special occasions, fundraising events, rewarding staff and any company promotional ideas. 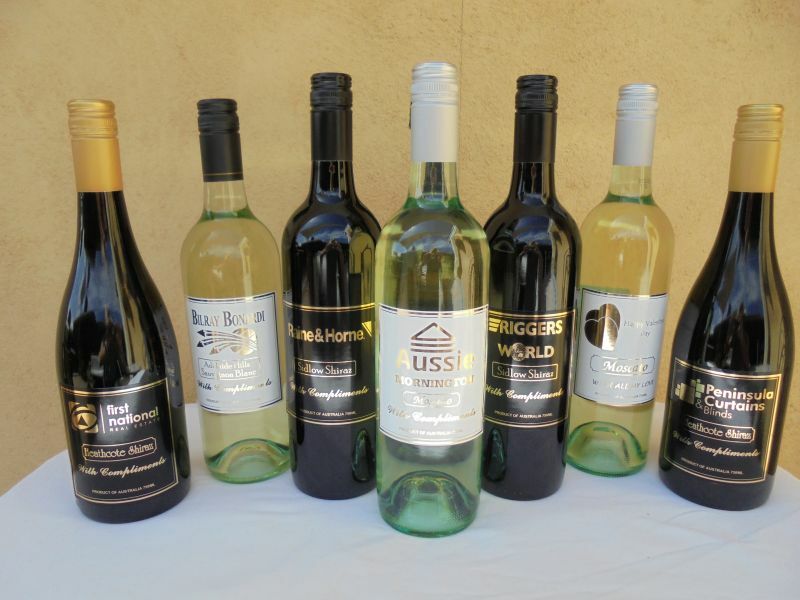 Priced from $15 – $30 per bottle, we can also package premium wine that will impress and add value to a special sale or promotion without breaking the bank.